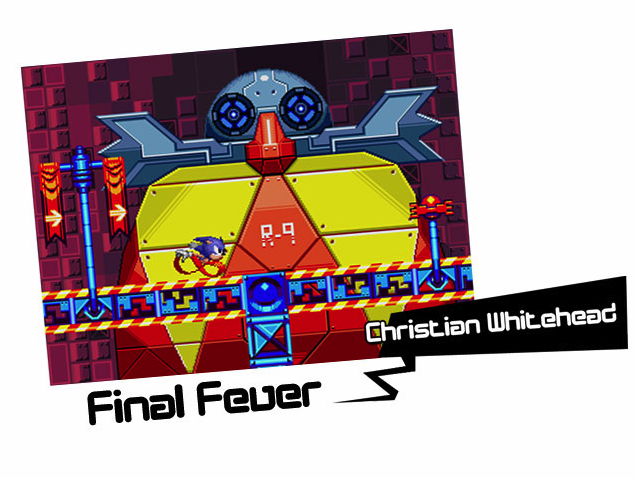 Early this morning, the mind behind the Retro engine fueled Sonic CD re-release, Christian Whitehead, released more concept art from the updated game on Sonic Retro. Again, we were able to see a vision for a new stage that Sega ultimately passed on. [….] it’s colourful since it was intended to be an all Time Stones boss (good future only). Time flows freely, and Eggman’s machine is essentially invincible. The idea being Sonic can reach warp speed at any opportunity (instead of getting the warp posts) and must do so to “wind back the clock” to damage the boss. Some parts are running, some areas the screen is locked. I was slightly worried the idea of running to warp might not be self evident (no warp screen, the level and boss would change in real time with some neato effects). Will we ever see it or Desert Dazzle in action? It’s not likely at the moment, but Whitehead implies enough of an outcry toward Sega could change that. Whitehead did say an update to the existing game is in the works for some platforms that would fix bugs found in last December’s release. Sonic Movie Potentially in the Works?